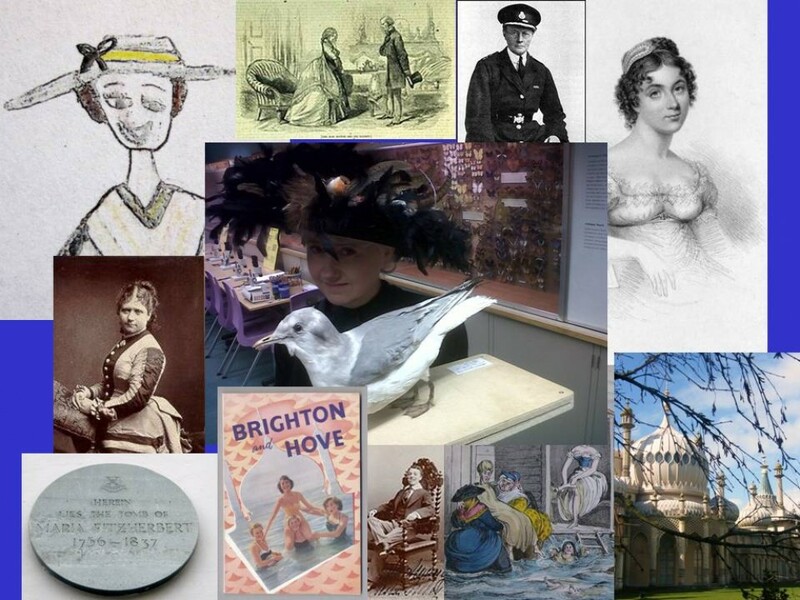 Another year of doing my Notorious Women of Brighton walking tours for the Brighton Fringe comes to an end and I’m sorting out my files and notes after a truly tremendous few weeks of introducing people to some of the fantastic women in our city’s history. OK, so all didn’t go exactly to plan. There was the time on that first Notorious Women of Hove walk when a man tried (and failed) to chase us out of Adelaide Crescent, the time when a guitarist attempted to serenade us while I talked about legendary dipper Martha Gunn in St Nicholas Churchyard (in his head he was in Led Zeppelin. In reality, more feeding time in a cattery). There was the excitement of the woman taking her tortoise for a walk in Brunswick Square that almost brought the tour to a premature end (well, how could I compete with a cute tortoise frolicking amongst the spring flowers? ), tales of the Hove man who takes his pet pig for a walk on Hove sea-front (much discussed and speculated upon but never seen) and the time I swallowed a fly and had to do some very indecorous coughing in mid sentence (sorry, if you were on that one). The best thing for me, of course, is meeting you all. If you came on one of the tours of either Brighton, Hove or the sneaky pop-up one I did of Kemptown, thank you very much for your comments, insight, extra facts, reactions and enthusiasm. I was extremely happy to meet a woman who remembered meeting Hove heroine Margaret Powell, and very pleased when someone started to sing some of the hits of the Kaye Sisters (so I didn’t have to) while talking about Carole Kaye. It’s your enthusiasm and your chipping in with additional facts that keeps things interesting for me and keeps me wanting to carry on finding out and digging up those stories of local women’s history, achievements, activities, derring-do, courage and – sometimes – misdeeds for us all to celebrate. I will be doing another Notorious Women of Kemptown tour some time in the summer – either late July or August. Many people who couldn’t make the pop-up date asked me to keep them informed if I decided to do another one. If anyone else is interested in adding themselves to that list please drop me an email at historywomenbrighton@outlook.com . If anyone caught the Brighton tour but didn’t manage to get onto a Hove one – or vice-versa – and can’t wait until next year, keep checking back as I occasionally slot tours in at different times of the year. Or why not book me for a private tour? All you need is a group of 5 or 6 people to ensure festival prices! Thanks again everyone, see you soon! Really enjoyed your walk … thanks so much and please keep up the amazing work!